The USAID-supported Global Livestock Collaborative Research Support Program (GL CRSP) supported savings and credit (S&C) programs as part of its overarching goal to address risk in rural livelihoods. 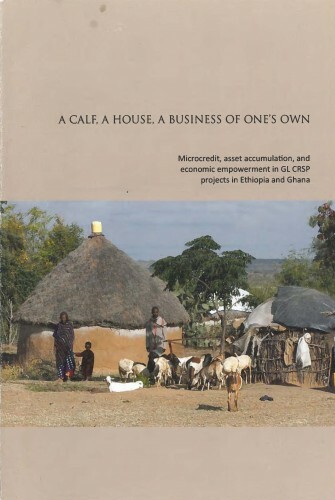 Two different models of microfinance programs were initiated in the GL CRSP activities in East and West Africa. The Pastoral Risk Management (PARIMA) project in Ethiopia worked primarily in pastoral communities while the Enhancing Child Nutrition through Animal Source Food Management (ENAM) project in Ghana conducted its activities with women in settled agricultural communities. Despite differing by location, livelihood options, members’ characteristics, and program structure, both projects were remarkably successful in promoting entrepreneurship and asset accumulation among mostly uneducated villagers who were initially in difficult economic situations with few financial resources and limited social networks on which they could rely. By the end of the project, these same people were managing and expanding their own businesses and using the profits to build up their asset base, improve their houses, manage businesses, and educate their children. In both situations, the success is associated with project efforts to link capacity-building and supplementary training courses to the saving and microcredit activities. Drawing on the projects’ own research findings, this report describes the two projects and documents the impacts that emerged at the local level in southern Ethiopia and in three regions of Ghana. In both cases, supplementary funding supported portions of the outreach programs and contributed greatly to their eventual success. The positive results call out for similar efforts to be included in other USAID-funded applied research programs.